Udi’s White Sandwich Bread is light and fluffy and made with all natural ingredients without added fillers. 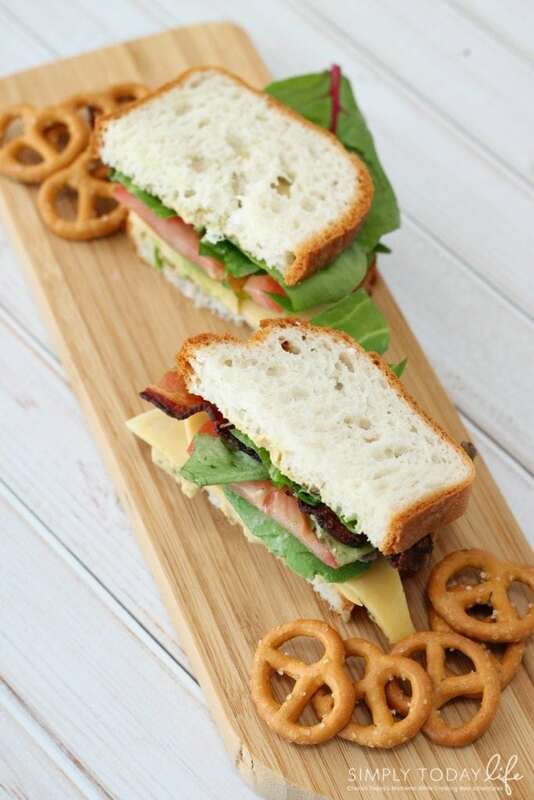 So, it’s perfect for hubby to enjoy some of his favorite sandwich recipes. Udi’s also has whole grain, rye, millet-chia, and another favorite of ours cinnamon raisin. Perfect for morning breakfast! Udi’s White Sandwich Bread is perfect for making my hubby’s favorite Gluten-Gree Avocado Pesto Hummus BLT Sandwich for lunch. I also use it in my girls’ lunches. 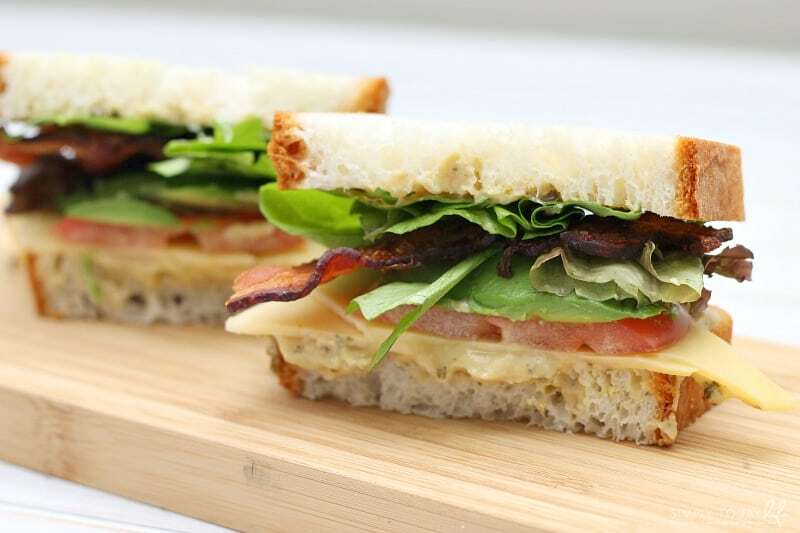 Now my girls are a bit picky when it comes to what they will eat, but I can simply create their version of the BLT sandwich I know they love. 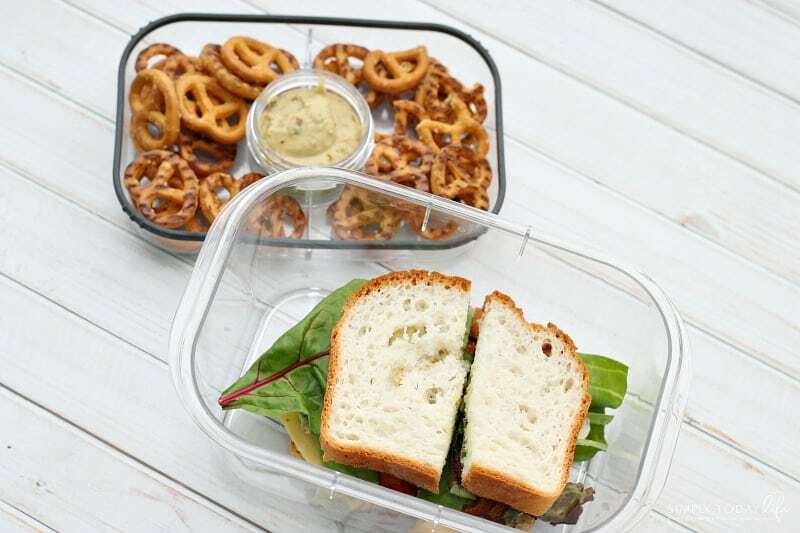 So, it makes for quick and effortless morning lunch packing for the three of them. I suggest creating your sandwich in the morning before work or school, but bake your bacon the night before that way it’s ready to go in the morning. Just take a 1/2 teaspoon of pesto and two tablespoons of hummus and mix until combined. Slice your avocado and tomato. Then wash your lettuce. We love using a mixture of organic spinach and lettuce. Spread your pesto hummus on your Udi’s White Sandwich Bread, add slices of avocados, and tomatoes. Slice your sandwich in half and then add your slices of bacon. Don’t forget to take a handful of Glutino Pretzel Twists as well for a side snack to go, and if you want a dessert the Glutino Vanilla Creme Sandwich Cookies are so good! Glutino also carries a wide array of snacks and baking mixes, including pretzels, crackers, and cookies. Make sure to take advantage of this digital coupon to save $1 on 1 Glutino and/or Udi’s product. Visit your local Albertson or Safeway and pick up some of our favorite Udi’s and Glutino items. They have some many different items for you to try. Did you know they also carry gluten-free pizza? 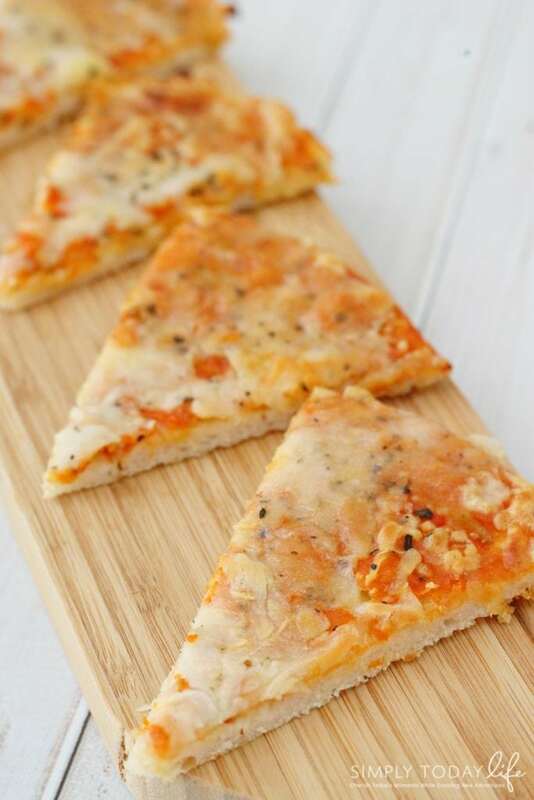 It’s one of my favorite lunch items I can put in the oven and enjoy while working. Bring some amazing flavors to lunch this week all while keeping it gluten-free and delicious! Love the pesto hummus recipe? Bring some extra on the side! It’s perfect for your Glutino Pretzel Twists! 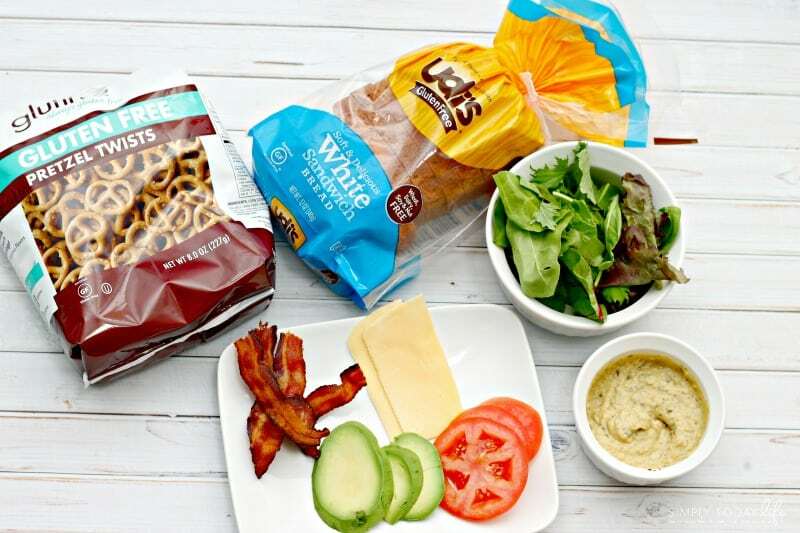 What sandwich would you make with Udi’s White Sandwich Bread? This is the perfect sandwich for spring–I can’t wait to try it!